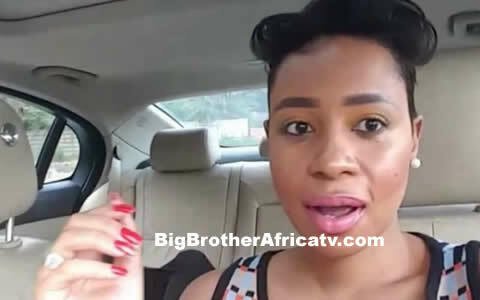 Former Big Brother star, Pokello Nare is ‘very angry’ as a shower hour pic with Elikem while they were still in the Big Brother re-surfaced on some social media platforms. Fans take NOTE “What happens in the Big Brother house, stays in Big Brother…!! !” Or perhaps it doesn’t as Pokello’s shower hour pics have re-surfaced again. “When we sign up for Big Brother Africa we are well aware that Shower hour pics will be screenshot by some with hidden agendas. But please do not waste your time cropping Big Brother Africa headings and captions then start circulating those pics as if they are new and exclusive to you. Everyone has access to the Big Brother website and can download those pics. Makatadza kundidzikisa when u had the chance,iko zvino hamuchandibata ndaenda neNyika so tenderedzai mapictures epa Reality show mofunga kuti tazomubata.maHousemates ese ane mapictures aya saka hapana zvamunombondita. ✌” wrote the mother of two. Above is the re-surfaced photo being circulated……!! !